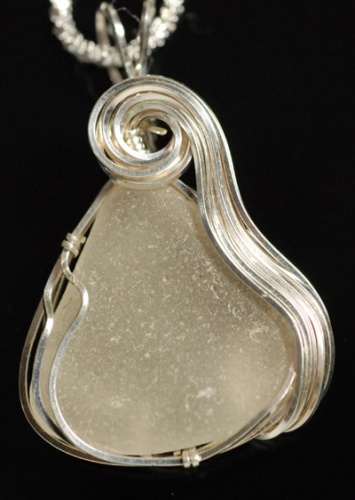 This gorgeous piece of seaglass is wrapped in silver swirls to represent the waves on the oceans. Very unique in design and gorgeous when worn. One of a kind piece. Comes with an 18" snake chain.